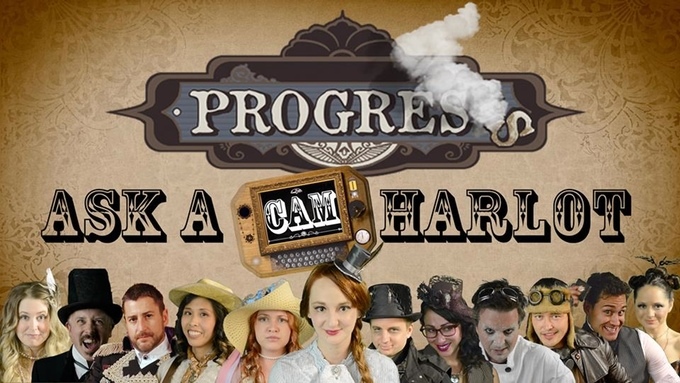 Progress is releasing episodes of Ask a Cam-Harlot during its Kickstarter campaign. "A British Person" (aka Mike Jeavons), star of the popular web-shows Shameful Sequels and Infomercialism, will join the steampunk series Progress to review lowbrow sequels of Victorian classics and shoddy steam-powered novelty products. For this second season, shot partly in London, the producers have launched a Kickstarter campaign at http://ProgressTheSeries2.com. 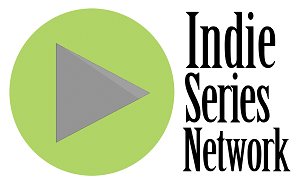 The first season of Progress won several awards and nominations from the International Academy of Web Television and the Indie Series Awards. It got raving reviews from international media, including French Newspaper “Liberation” and “best of 2013” from top web-series critics and attracted several TV stars which lead to a deal to develop the spin-off comedy Ask a Cam-Harlot. Ask a Cam-Harlot, the comedy spin-off series includes big stars like Christopher Sean (from Days of our Lives) and Emmy-nominated Michael Caruso (DeVanity, Winterthorne). The episodes will be released on YouTube during the campaign (a link is on the Kickstarter page). You have until September 4th to help A British Person travel back to the Victorian era and check out some of the best steampunk entertainment online. Find more about Progress, the steam-powered Internet and our Kickstarter campaign at ProgressTheSeries.com and Facebook.com/ProgressTheSeries.